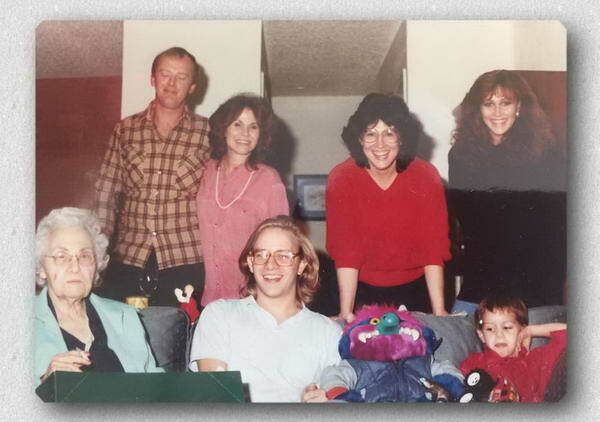 That's us back in 1987 at Thanksgiving. I'm sitting in the center of the couch looking dorky with the long hair. I no longer have long hair, but I still look dorky. We are still a family-run website operation with my mother, Patricia Mitchell, as the website's cooking advisor. For over twenty years, we've kept Texas Cooking running. Our site is devoted to promoting and publishing home-style, delicious Texas cooking, as well as the culture that created and celebrates it. One of these days, we'll get around to writing our own cookbook. I enjoy promoting Texas authors, food manufacturers, farmers markets and bloggers, which we link to prominently in our Recipe of the Week newsletter. Subscribe to it here. If you want us to review your book or product, or if you're interested in being a sponsor, contact us.